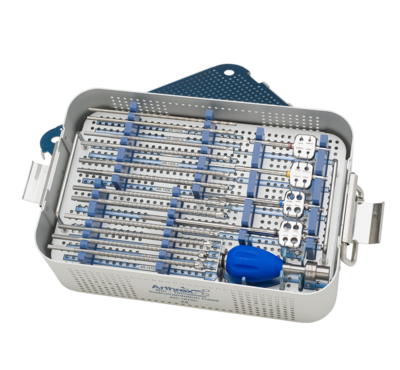 The Bio-Tenodesis™ Screw System, which includes the Tenodesis Screw™, was designed specifically for the reattachment of ligament and tendon soft tissue to bone. The Bio-Tenodesis Driver facilitates accurate graft tensioning into a bony socket in a simple “push-in” method. The interference fit provided by the Tenodesis Screw and FiberWire virtually eliminates graft separation from the bone. 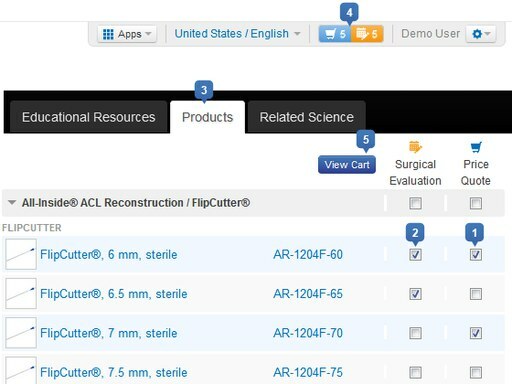 The strength of the repair achieved with the system allows patients to generally begin postoperative rehab earlier than previously permitted. The Bio-Tenodesis Screws are composed of PLLA and are available in numerous sizes to fit all applications. There are also titanium and PEEK Tenodesis Screws available for use with the system, if desired. The system is ideal for the reattachment of soft tissue to bone in upper extremity procedures including rotator cuff repairs, proximal/distal biceps tenodesis and acromioclavicular joint reconstruction.